Dr Mario Cardona graduated with a B.Ed. (Hons.) in History and Early and Middle Years from the University of Malta. He subsequently focused on adult education and training, and community development, with a Laurea from Roma Tre University, a M.Ed. from the University of Malta and a PhD from the University of Edinburgh. He has an academic and professional interest in adult education and training, community education and development, co-operatives, VET, visual and performing arts, and issues related to education and social justice. He participates in European policy fora and has published books and papers related to his area of expertise. He carries out voluntary work in a rural co-operative at Manikata and in a community-based music school at Qormi. 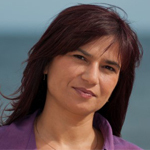 Ms Paula Grech Bonnici holds a Bachelor of Science degree in Biology and Chemistry and a Master of Science degree in Biology, both from the University of Malta. She had first started her career as a scientific officer at the Maltese Forensic Science Laboratory and later moved to the Water Services Corporation for a lengthy career of twenty-two years. She joined the WSC as a laboratory scientist and gradually rose up the ranks to the position of an executive director. Her experience extends to water and wastewater quality analytical expertise; quality management systems, including ISO9001 and ISO14001; ISO17025 laboratory accreditation; management of the Institute of Water Technology; design and development of courses; training and lecturing at various institutions and an active participation in various EU funding projects ranging from research to major structural projects. As part of her previous remit she also set up the Commercialisation and Innovation arm at the WSC. She was also responsible for the achievement of the ISO17025 accreditation of the first laboratory in Malta. Over the years, Ms. Grech Bonnici formed part of various government boards including the Pesticide Control Board, the Trade Testing Board for Laboratory Technologists, the Environment and Resources Authority Board and the Malta Resources Authority Board. She has also frequently participated in various European policy and federation meetings and also many workshops. Founder and coordinator of Ghaqda Bdiewa Attivi– an organization for farmers that lobbies for and represent farmers in matters related to policy, market, EU funding, etc. He used to be the Chairman of the Fish Husbandry Trade Testing Board till 2015, he coordinates courses for farmers for the Directorate of Agriculture till 2015, and is co-author of various scientific papers related to water use in agriculture. His interests include reading, lobbying, gastronomy, food production and processing. Ms Doreen Micallef obtained a Diploma in Medical Laboratory Science in 1986 and a Bachelor of Science in 1992. She became a member of the Institute of Biomedical Science UK in 1996 and obtained a post-graduate certificate in Education in 1999. She graduated with a Master of Science Weight Management in 2017 and a post-graduate certificate in research in 2018. Ms Micallef started off her career as a medical laboratory technician and Senior Medical Laboratory Technologist, from 1986 to 1993. She was then a laboratory manager at a private hospital from 1993 to 1994, and joined the University of Malta in 1992 where she lectured until 2005. She was also teacher of science, biology and chemistry in a local church school from 1999 to 2002 and a part-time lecturer at MCAST from 2006 to 2012. Ms Micallef became a full-time lecturer at the MCAST Institute for Applied Science in 2012, a programme coordinator, in 2013, and has been occupying the post of Deputy Director at the Institute for Applied Sciences since 2015. She served as Vice President of the National Council of Women, Malta, from 2004 to 2007, and as President of the National Council of Women from 2007 to 2009. She also was Vice President of the European Centre for the International Council of Women from 2007 to 2009, and Vice President of the Aretusa Organisation from 2010 to 2012. Microelectronics at STMicroelectronics- Process Engineering and R&D electrical power at Enemalta Corporation’s Distribution Section – responsible for Birkirkara and Mosta districts; construction project management at Malta Industrial Parks – Project Leader of a 20 Million Euro ERDF project ERDF001 – infrastructural works in all industrial estimates; aviation and engineering contracting – Lufthansa Technik. Currently Ing. Sammut is the Director of the Institute of Engineering and Transport at MCAST. The institute has around 1000 students following around 60 programs in the areas of electrical engineering, mechanical engineering, building and construction, maritime and aviation. Ing. Sammut covered most roles at the institute including those of lecturer, coordinator, Deputy Director of Institute, Deputy Director Program Management, and finally Director. Deputy Director (Academic) | Institute of Engineering and Transport. Ing. Godwin Caruana attended St.Aloysius College, and followed his studies in engineering at the University of Malta where he graduated as a Mechanical Engineer in 1990. In 2010 Ing Caruana joined the MCAST/Franunhofer MSc programme where in 2011 he spent three months in Franunhofer IAO Stuttgart researching about energy in buildings as part of his dissertation studies, and in 2012 obtained the Master’s degree with Distinction in Building Services. Upon graduating as a Mechanical Engineer in 1990 he was employed in the maritime sector first an engineer then as a manager in the MSCL drawing office. In 1994 Ing Caruana moved to a local leading building services company where he was responsible for various projects in the renewable energies as well as HVAC. In 2001 Ing Caruana joined MCAST as a lecturer and then promoted to senior lecturer and IVC. In January 2014 he was appointed Deputy Director at the Institute of Building & Construction Engineering which later was joined with other engineering institutes to form the Institute of Engineering and Transport. Today he occupies the post of Deputy Director (Academic), in the same institute. Ing Caruana’s main interests are in the field of sustainable buildings and education related to this field. He is a member in MEEREA and the Malta Chamber of Engineers. He is a firm believer in VET reflected by the fact that he joined MCAST at its beginning in 2001 and is committed to continue contributing actively in this institution. Mr Conrad Vassallo graduated in 2001 with a Bachelor of Education degree in Computing from the University of Malta. He joined the Institute of ICT that same year as an assistant lecturer making him one of the founding lecturers at MCAST. He was promoted to lecturer in 2004 and also appointed as a Programme Manager responsible for the courses from level 2 till level 4. In 2005, he was appointed as Institute Coordinator and subsequently to BTEC Lead Internal Verifier, responsible for monitoring the quality assurance process of the BTEC courses. In 2010 he furthered his studies with a Master’s degree in Software Engineering and consequently he was promoted to Senior Lecturer where he made part of the lecturing staff teaching the MCAST degree courses. He has contributed greatly to the success of the Institute of ICT over the years. His efforts yielded success especially in furthering the knowledge of the students and his professional and vocational experience. These successful efforts include his contribution towards preparing students from the Institute of ICT for the Euro Skills competition achieving Gold and Silver medals in Web Design. He also was the mentor for students winning the Malta Robotics Olympiad challenge in 2014 and 2016 and also mentored students who participated in the FIRST Global Robotics Challenge in Washington D.C. in 2017 and Mexico City in 2018. For the past 12 years, he has been teaching at various levels ranging from diplomas to degree courses including programming, web technologies and Linux operating systems. He has been involved in various open source projects, with a particular interest in embedded systems and robotics. He was also commissioned to work on a prototype for a foreign company with regard to home automation and IoT devices. In 2013 he was appointed to Deputy Director at the Institute of ICT where he refrained from his lecturing duties to focus on the administration of the Institute. Consequently, in 2014 he was appointed as Acting Director. Late in 2015, he was appointed as Director of the ICT Institute. He is currently forming part of the European Commission working group for the innovation and digitalisation of high-quality VET and Higher VET. Mr Mark Anthony Farrugia graduated from the University of Malta in 2001 with a Bachelor’s degree in Education. Upon graduation, Mark Anthony Farrugia spent a year in a software development company working as a software developer. He joined MCAST as an Assistant Lecturer in 2002 and was appointed as a Deputy Director at the Institute of ICT in 2013. Mr Farrugia is in possession of a Master’s degree in Software Development from the University of Hertfordshire. 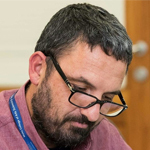 Apart from teaching, Mr Farrugia’s main passion is programming and has also embarked on several personal projects, mainly dealing with software that helps companies on their business processes. Dr Tatjana Chircop has been involved in both formal and non-formal education since 1988. At a young age, she became a professional musician with the Manoel Theatre Orchestra and the National Orchestra and taught violin and piano at the Johann Strauss School of Music. After having achieved the FTCL in violin performing and the LTCL in piano performing she also furthered her studies at the Conservatoire National de Region, Lyon. Later, she focused on a career in education and fulfilled roles of learning support assistant at St Albert the Great College and a community development worker with Agenzija Appogg, particularly within Valletta Local Council. In 2007 she joined MCAST as a lecturer and later moved into management within the same college, having been appointed Director of the Institute of Community Services, Head of the Foundation College and recently Deputy Principal for Arts and Social Sciences. Dr Chircop is in possession of a BA Hons in English (University of London), a BA Hons in Youth and Community Studies (University of Malta), an MA in Youth and Community Studies (Brunel University), a Master in Intercultural Eco-Management (Universita’ Ca Foscari), a Post-Graduate Certificate in Vocational and Educational and Training (MCAST) and a PhD (Brunel University). Dr Chircop carried out research in areas including childlessness, vocational education and performing arts. Her doctoral research combines the gendered nature of identity formation of young women and the music they listen to. The research focuses on how young Maltese women make meaning out of the music they listen to in their everyday lives and how they incorporate this meaning into everyday discourses and identities. Through the research, she explores the consumption of global and local cultural forms of music as leisure and the incorporation or resistance of these cultural forms in identity formation processes. She also analyses ways in which social and cultural capitals are processed in the social and cultural power struggle to form cultural hierarchies. Dr Martina Caruana is a graduate in Music and History of Art from the University of Malta (1993), where she furthered her studies in the History of Art with a specialization in illuminated manuscripts in Malta. After obtaining her PhD from the Sorbonne Paris IV (2000) she continued to research illuminated books in Malta and has since been invited to lecture, participate in conferences/projects and publish in several reputable fora. She has been an educator for some 25 years and her experience ranges from primary through to postgraduate education in private and state, Maltese and European contexts, with experience in formal VET education dating back to 2001 when she collaborated with MCAST in her capacity as Director of Studies of the Malta Centre for Restoration’s Institute for Conservation and Restoration Studies. She eventually joined MCAST, where she pursued her formal education in VET education (2013), almost eight years ago as Senior Lecturer II in Contextual Studies at the Institute for the Creative Arts. There she later also coordinated the Fine Arts, Performing Arts and Cultural Heritage Skills departments, and was recently appointed Institute Director. Having graduated in communication, David Kenely joined MCAST in 2001 as a lecturer in Marketing, Communications and Consumer Behaviour. While at MCAST he held various roles apart from lecturing including being a Lead Internal Verifier with BTEC, programme coordinator, and Deputy Director Programme Management. David is now the Director of the Institute of Business Management and Commerce. Even though he moved towards the management part of education, student interaction and the classroom are still very important and he considers himself an educator by profession. On a personal level, David is married and has two boys. He has a keen interest in the issue of sustainability and loves outdoor activities, especially long distance running and swimming. Mr Anthony Padovani is a Master of Science Graduate in Management and in Business Administration from Anglia Ruskin University and the London School of Commerce respectively. He has over thirty years direct experience in several industries including beverages, mobile & satellite telecommunications, business software applications, executive education, retail, and removal & export of hazardous waste. He occupied top management positions relating to marketing, business development and general management with leading local and foreign international companies. Anthony has travelled widely and has been involved in business negotiations with international organisations across the world. Anthony is presently the Deputy Director at MCAST’s Institute of Business Management and Commerce responsible for academic matters after having joined MCAST as a lecturer in 2011. Anthony still lectures on business-related units in various business programmes run at MCAST and also tutors final year students on their dissertation as part of the first-degree course in Business Enterprise. Anthony’s main interests are business planning and strategic marketing. Ing Karl V. A. Camilleri graduated from the UOM with a Bachelor of Electrical Engineering (Honours) in 1994. He achieved Chevening Scholar in 1999. Then Ing. Camilleri read for an MBA at Cranfield University (UK) and a Post Graduate in Marketing in 2000. He gained the status of Chartered Engineer in the UK, Warranted Engineer in Malta and EUR.ING. with the European Federation & National Engineers Association. He is a Fellow of the Association of Project Managers (UK), Member of the Chartered Institute of Management (UK), and the Chartered Institute of Engineering & Technology (UK). He is a fully qualified Prince 2 Practitioner and Energy Performance Efficiency assessor. Ing Camilleri has over seven years of lecturing experience in project management, operations management, strategy, business management, change management, risk management and marketing. He has over 20 years of industry experience as a senior manager, director, executive officer and senior consultant, having worked in a number key decision making positions in major energy, telecoms, consultancy, manufacturing & governmental organisations. Ing Camilleri has worked for a number of blue chip companies such as BOVIS Lend Lease, British Telecom, Openreach, Network Rail, London Underground, Maltacom, Enemalta, Marconi and ST Microelectronics. His academic Interests are project management, transportation, change management and strategy. His personal interests are 20th century history, fine arts and restorations. He has been Programme & Event Co-ordinator for Dar Tal-Providenza of their Annual Fine Arts Auction since 2011. Ann Marie Cassar graduated from the University of Malta with a BA Hons in English and started her career as Director of Studies in a language school. She was responsible for the administration and implementation of the academic programmes including managing the teaching team and academic resources. The school also offered language courses for children as well as childcare facilities for international families with particular emphasis on inclusive practice. She then moved on to run a local catering establishment for a number of years, handling daily operations and functions together with human resources and administration. Her main interest has always been language acquisition in the Early Years, therefore she read for a Master’s in Early Years Education and Care. She joined MCAST in January 2014 with lecturing duties in English language and Early Years education. In 2016 she was appointed Deputy Director within the Institute of Community Services.